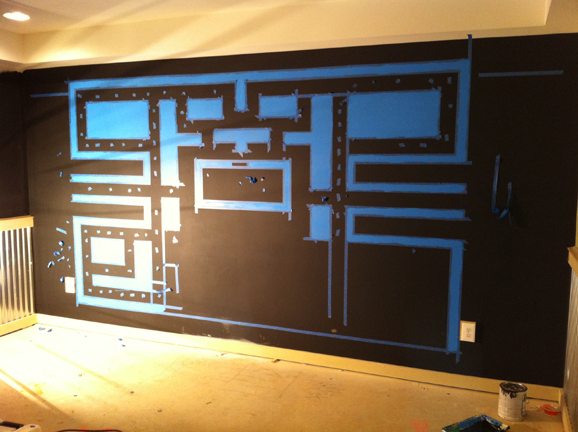 When asked to paint a Pac-man themed mural for an arcade room, I jumped at the chance. Being a child of the 80’s myself, I’ve pumped my fair share of quarters into Pac-man machines growing up! 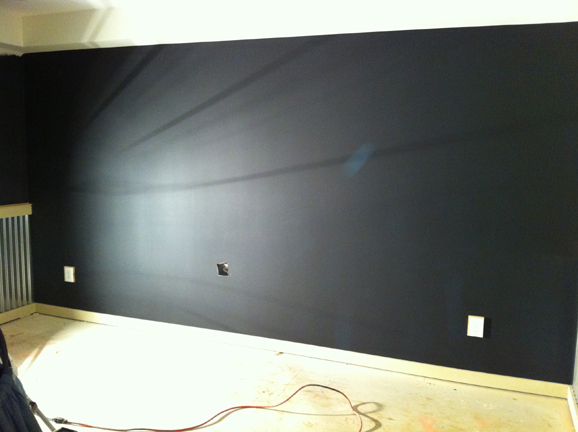 I started with my wall painted flat black. 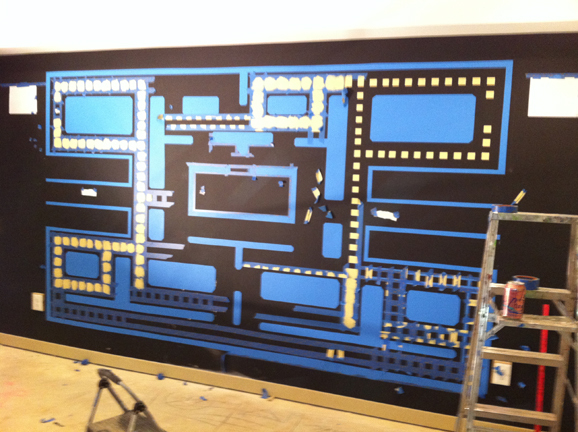 And because the Pac-man game board is square in shape, I had to do some scaling ( using math! ) to make the grid fit on the wall while keeping it as large as possible. 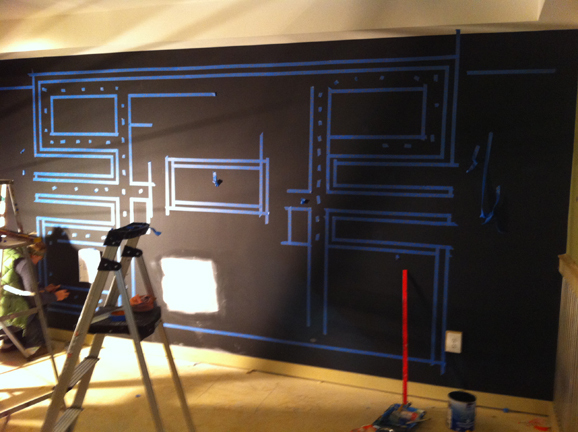 This design involved A LOT of measuring and leveling vertical and horizontal lines. 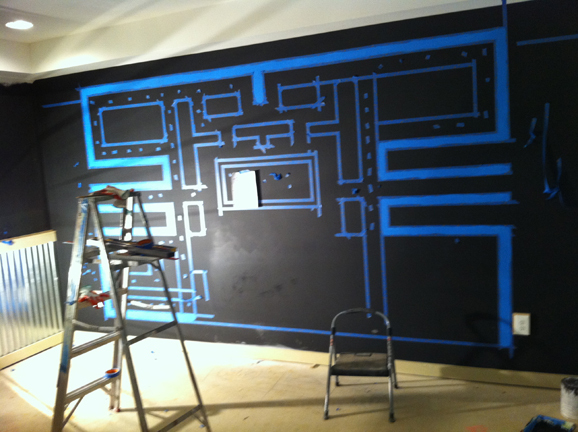 The blue tape I used was instrumental in keeping everything evenly spaced. 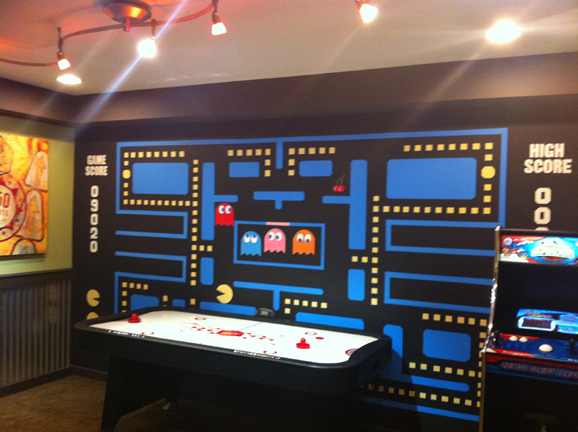 The result was a fun throwback-themed arcade room!